Everyone loves coming home from school to fresh cookies from the oven and a tall glass of milk. These 26 Delectable Cookie Recipes are a classy way to give yourself and your kids a special after school treat. This mix of classic and upscale unique flavors are great for using as a special treat for your next dinner party, or just to wrap beautifully and tuck into a lunch box this week. 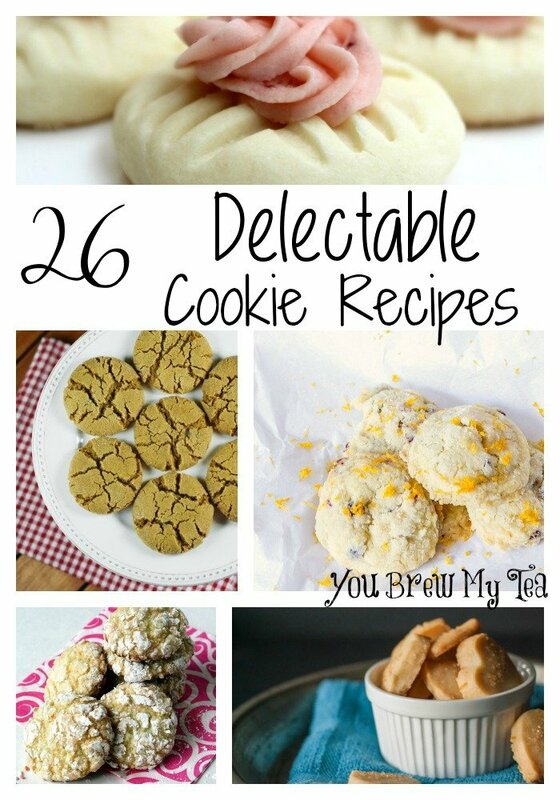 We love the many lemon and herbed cookies on this list. Of course, the upscale classic chocolate chip cookies on this list are amazing too. You just can’t go wrong with any of these cookies for your next batch for the kids, or just for yourself. This list includes twists on classic cookies, great unique flavors and of course cookies that are great for dipping. No matter what you need, this list has you covered. Perfect for holiday cookie swap parties, special teas party events and of course adding to your kids lunch box. We love the unique flavor combinations, fun shapes and different styles of some of our favorite cookie styles. Enjoy some or all of these cookies with your family this week. Such a great round up of cookies! There is definitely something for everyone here! ‘Tis the season for cookies! Hooray! Pinned! Yummy! Those minty chocolate and honey lemon ones sounds delicious!! Thanks for sharing your roundup at Inspire Me Monday! Great list! Thanks for sharing at Idea Box.